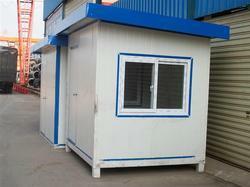 We provide the Guard Room for Societies for our many clients, these are made of standard quality raw material. Widely used and known in market for its durability and reliability. 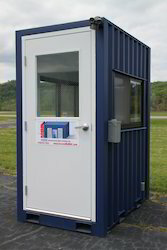 These quality finished MS Security Cabin are pre-fabricated structures that find wide use in providing shelter support to the guards from all time weather conditions. 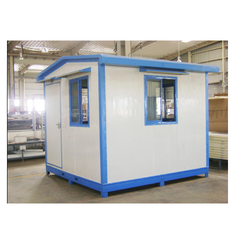 We are providing our esteemed clients with superior quality Security Booth SRG prefab guard room/Security rooms are completely insulated and heat resistant. Our guard room comes in different shapes like guard room, back side slope, front side slope, plain from the bottom & both side slope is the roof. Guard room or security room comes in different size and color. Owing to the support of our professionals, we have been able to come up with the finest Security Room. Prefab servant room are ideal for home. Since the construction and hassle free. These servant room can be assembled even at roof top at home. SRG Security Rooms are made of prepainted GI which make these cabin more study and quality of paints are also unmatchable. 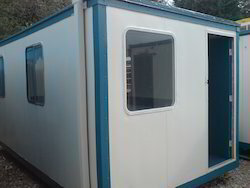 Servant room can be attach with toilet & bathroom which make these portable servant room ideal for house use.